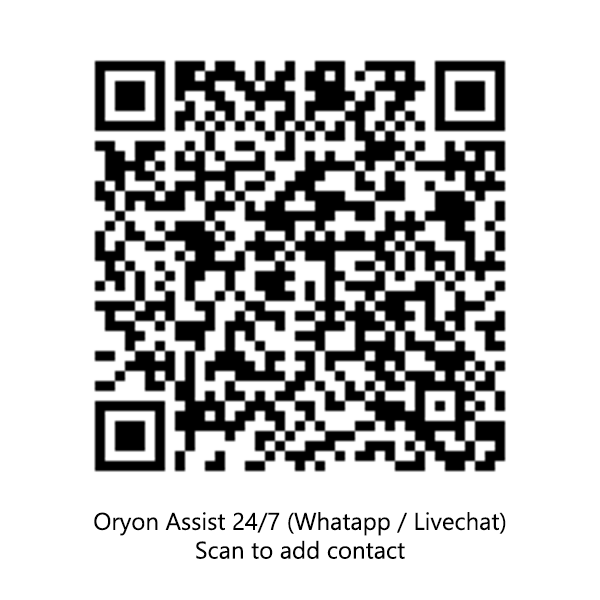 Oryon Assist, 24/7 Always Online Friendly Service You Can Rely On! Contact Oryon Assist anytime (including public holiday) using WhatsApp or chat.oryon.net link in the contact. If you prefer Facebook messenger, add Oryon Networks Pte Ltd on your Facebook. Click here to start Live Chat Assistance or click on the Red chat button on the bottom right of your screen.